After 18 games into the NBA regular season, who would've thought the Portland Trail Blazers would be tied for first place in the tough Western Conference. 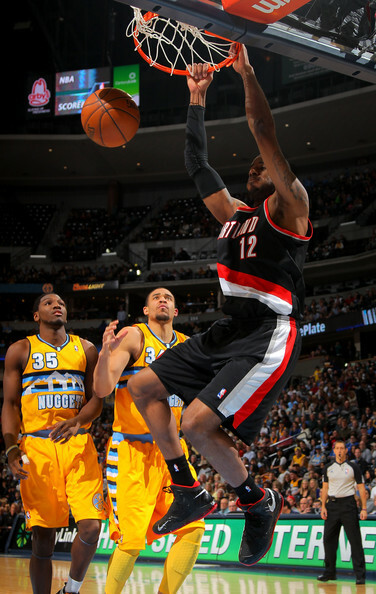 With a 15-3 record, the Trail Blazers are completely dominating, and continuing to make statements each night. While some may argue that Portland has had a weak schedule, you have to respect that this Trail Blazers team defeated the Denver Nuggets, San Antonio Spurs, Golden State Warriors and Indiana Pacers. The majority of those wins were double-digit victories. They might not be the most exciting or most explosive, but they're getting the job done and winning games, and that's what matters most. Wesley Matthews has truly stepped up his game this season. Matthews is shooting 55-percent from the field, an outstanding 51-percent from beyond the three-point line and averaging 16.6 points-per-game. For a guy who shot 44-percent from the field and 40-percent from the three-point line, that's incredible. Nicolas Batum has really elevated his game as well, shooting 45-percent from the field and 40-percent from three. Both his rebounds and assist averages have also gone up this year. Despite his points-per-game numbers lowering this season, he is filling up the stat sheet much more. Although many thought Damian Lillard would've taken his game to another level this season, he is still getting the job done. In fact, Lillard has scored in double-digits every game this season except one. He is also grabbing more boards this year. Despite a somewhat slow start to the season, he is still averaging 20.6 points and is still a great leader and play-maker. LaMarcus Aldridge has been a complete beast this season. Aldridge is averaging 22.7 points and 9.6 boards while shooting 47-percent from the field. He has reached double-digits in scoring in every single game this season and his aggressiveness has been key. Aldridge has been dominating down low in the post, and has been amazing to watch. The Trail Blazers are for real and are hungry for victories, and it seems as though no one can stop them.